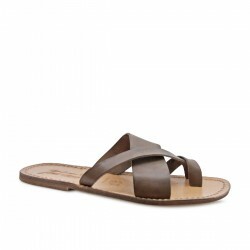 The sandals of the Freetime style of Gianluca The leather craftsman are made of Italian origin calf leather tanned using vegetable. 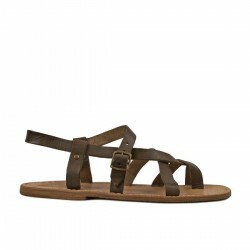 The special of this line is the Vintage effect achieved rubbing the skin, scratching and staining slightly around the sandal sole. 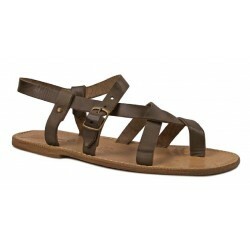 This type of work gives to the sandal a very aggressive looks and also crease softens the leather, making them very comfortable from the very first use. This line is available in all the Classic line colors, dipped or laminated (with the clearer sole). Freetime style There are 13 products.